When I was 12, I saw Europe. It was 1985. We were stationed in France for three years while my father performed scientific work on behalf of NOAA. It was an irregular situation since France left NATO years before. My parents immediately recognized the opportunity for what it was – spectacular. After navigating around a destination change to the Everglades, my father left to start his new job. Then my mother packed up the house in Seattle. Before we knew it, we boarded a TWA flight bound for Paris. My mother quickly instituted a new family mantra: “We’re in Europe. We’re going to see Europe!” And by George, we saw Europe. Remarkably, that was all but five countries in three years. And that is why I saw Europe from the backseat of a blue Volvo 240 GL. 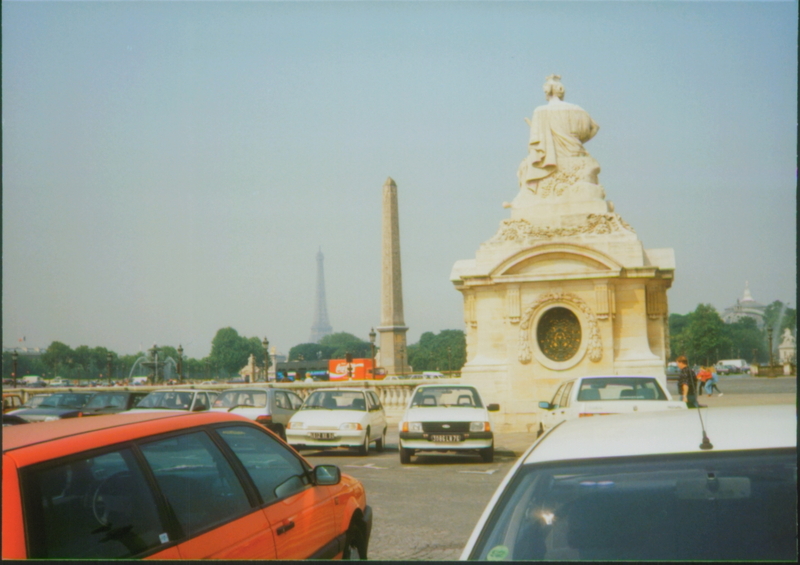 Within a week of arriving in the suburbs of Paris, we took an overnight train north. The train loaded onto a ferry, and a day later we found ourselves at the Volvo factory in Gothenburg, Sweden. It was there we picked up our beautiful car, the Tank. Order was established quickly. My father drove. My mother never sat in the backseat. I always sat on the right side in the back while my brother sat on the left. The seat was covered with comfortable dark blue material. If I scooted down a few inches, my head would comfortably rest against the top edge of the backseat. It was the perfect place to take one of those languid teenage naps. At least, until my brother woke me up. Or we arrived. On weekends and French holidays, we would load into the Tank and take off. Sooner or later, my brother and I would get hungry. We took a cue from the VHS recordings friends sent us of “The Cosby Show” and “Family Ties” and act like the immature American teenagers we were. We would sing one of the McDonald’s theme songs ad nauseum until my parents capitulated or my mother threatened us. To this day, “Two all beef patties, special sauce, lettuce, cheese…” takes me right back to my spot in the Tank as my brother and I bonded in mutual conspiracy. But most of the time, we would plug our headphones into individual cassette-playing boomboxes that rested in the middle seat between us and listen to music. They were soon replaced by newly released Sony Walkmans. My parents would pay for blissful silence at any price. Once a month we would drive from Paris to Chievres Air Force Base in Belgium to buy staples unavailable in Paris, like Iceberg lettuce and peanut butter. (All of us now prefer the ever-so-French Spring Mix and ham.) We always came back with piles of books and magazines. Best of all, we got to pick out new music. My father used to joke that the Tank dragged all the way home on trip south. To be certain, my brother and I always rested our feet on flats of sodas and canned string beans. We didn’t care. We were lost in the latest issue of X-Men or Sweet Valley High novelette. We also learned how to drive from the backseat. My mother developed a particular style of driving as offense against crazy drivers. At the time, France had a very long and labored driving requirement to receive a driver’s license. Despite the significant obstacles to obtaining one, it still resulted in many drivers who couldn’t drive. They would pile into their tiny cars: the Citroens, Renaults, Fiats, and drive like bats out of hell. Sorry, is that a line? They would cut in from a 90 degree angle, all the while gesturing madly through the window. My mother, of stout Scandinavian stock by way of Montana, decided this was a bunch of nonsense. She developed a technique to use in these situations. If another driver attempted to engage personally in an inappropriate fashion from the right, she would stare at their front left tire. Before long the other driver would glance at it as if to see what was wrong. Now, it is impossible to see the front left tire from the driver’s position behind the steering wheel, yet this never stopped the attempts to see it. From my superior position in the backseat, I was fascinated. From my father’s position, it was a way to edge the Tank up a bit further when the opening came and block that ridiculous person from cutting in. Make no mistake, driving in France was all sport. Then there was the rest of Europe. Winding down from the Eagle’s Nest, the Tank sheltered us through a fierce hailstorm that caused millions of dollars of damages in Germany. On our frequent visits to that country, we often encountered fog. My father would pop the high beams on and we’d watch out the front window in silence for tail lights to materialize in front of us. We spent one afternoon in a party on a highway when we made the mistake of leaving for Italy on August 1st during the continental pilgrimage south. Our trusty Tank was not one of the lesser vehicles that overheated and died on that highway. Eventually we moved back to the United States. The Tank was shipped to our new home in Virginia. A few years later, my parents moved back to France. They took a new black Volvo sedan with them. My brother inherited the Tank. It ferried college kids and empty fast food wrappers to and fro. One day it finally died. The Tank had escorted my family across a kazillion miles of road safely. The Tank is long gone but the memories remain. There were five of us on our grand adventure – my family of four and ou dear Tank. She was our Lady of Europe.